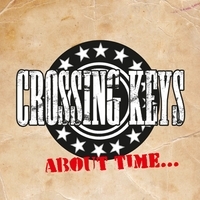 There is certainly a slight irony in the naming of this album, as this is the first full length release for Swedish band Crossing Keys, despite performing together for around eighteen years. So it really was about time that they put together a collection of songs to reward the fans who have supported this band over the years. After several listens, mainly on commuting journeys, this probably sums up the positioning of this album as it’s unlikely to create much of an interest outside the inner circles of the band’s sphere of influence. This doesn’t indicate that the record is not a well-produced collection of country-tinged pop rock and the songs wouldn’t be out of place on the live European music circuit, but there is a shallowness that is exposed when up against many of the finer exponents of this type of music. The band's vocal performance is fine, but the electric guitar oriented tunes have a soft-rock throwaway feel about them that, while a pleasant listen, doesn't create a lasting impression. The ten track production includes an instrumental to close the album with the opening number ‘Whatever Comes First’ probably the stand-out song. One of the more memorable tunes is ‘Sweet Carrie Anne’, partly because its glam rock feel conjures up images of one of Sweden’s more profitable exports of the 70’s. Good luck to the band, and the album will be a useful side supplement to their live shows, but there has to be a reservation to it broadening their appeal and expanding into the English speaking music listening markets.